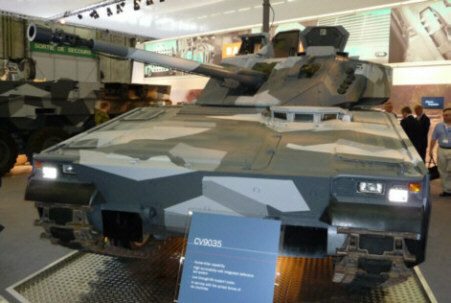 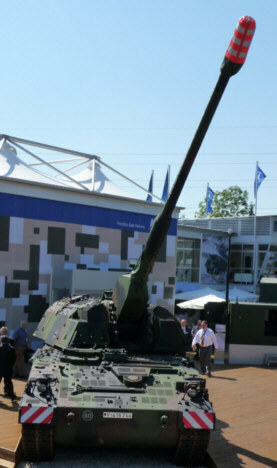 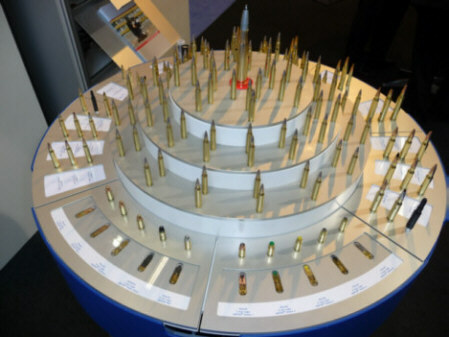 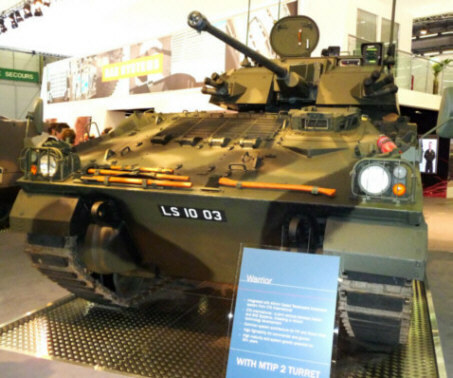 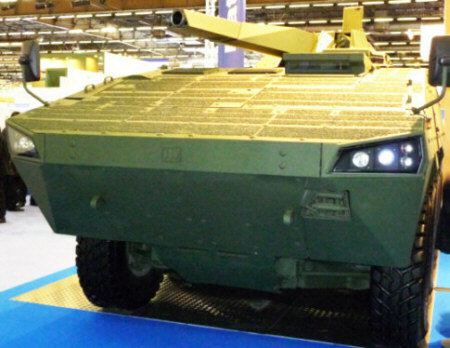 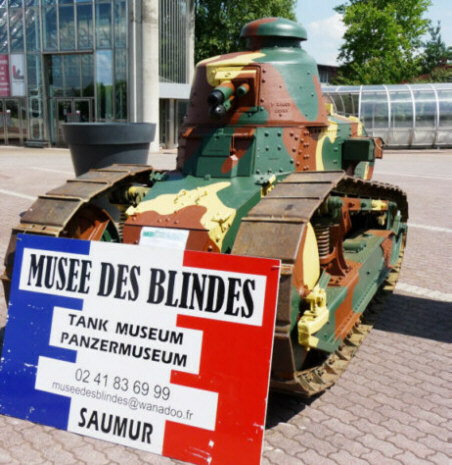 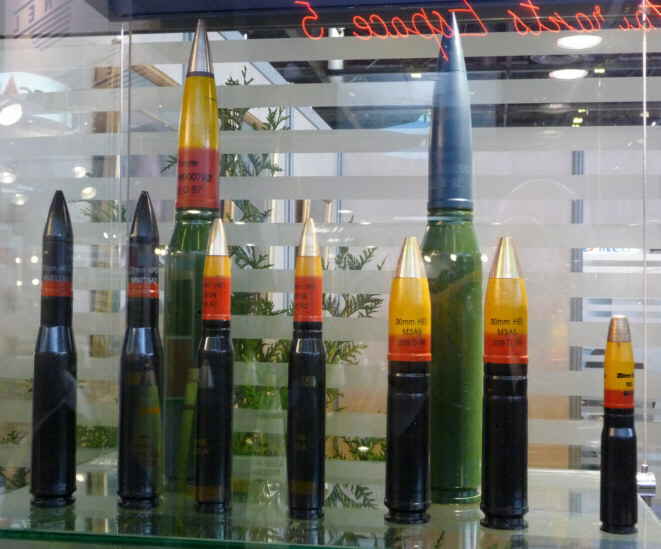 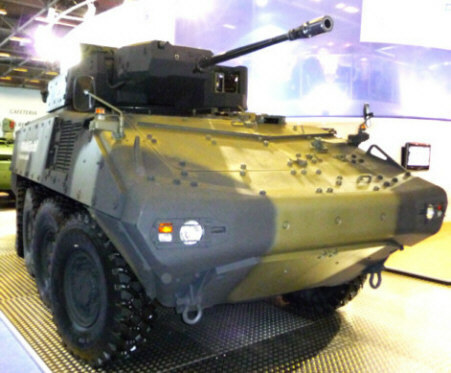 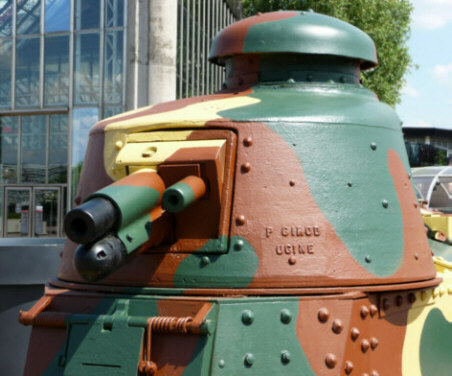 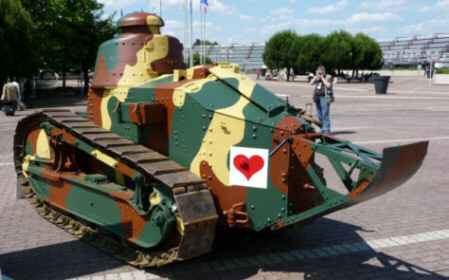 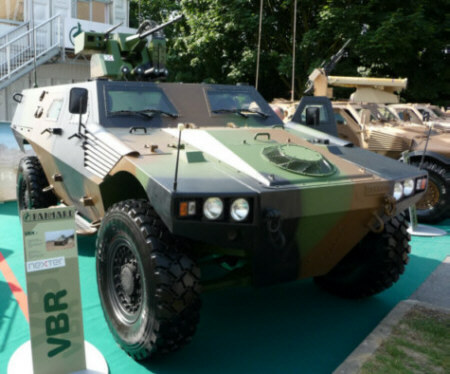 This is pictorial guide to some of the things which caught my eye at the biennial Paris military equipment exhibition. 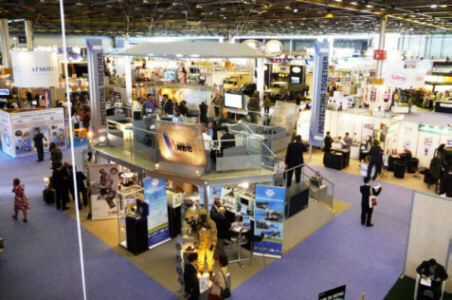 This does, of course, represent only a small fraction of the exhibits at this vast event. 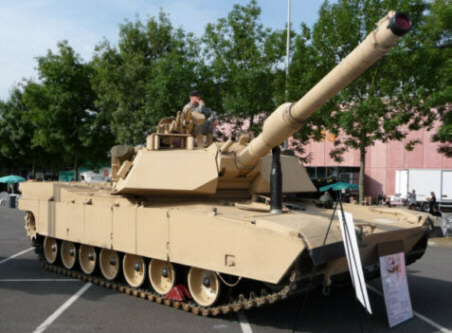 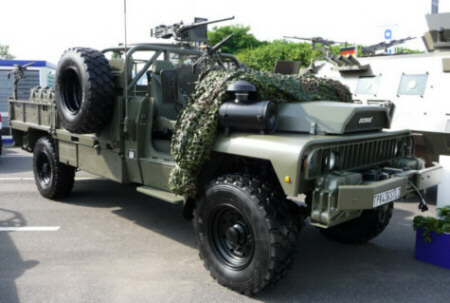 I focused on guns, ammunition and armed vehicles, but it seemed as if every conceivable thing which might be wanted by an army is here (there is very little air force or naval equipment). 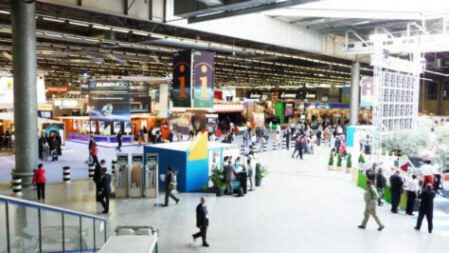 The exhibition is divided into a huge indoor space occupying a couple of halls (see below), and a big outside area. 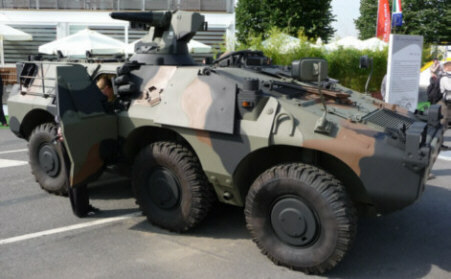 Vehicle demonstrations were put on at the edge of the site. 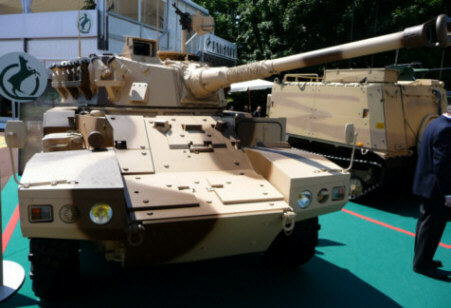 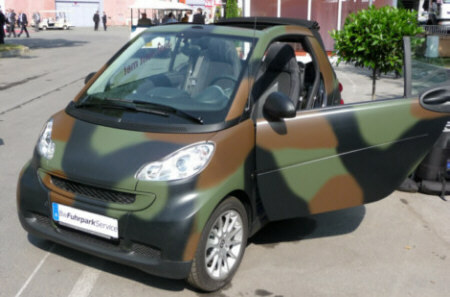 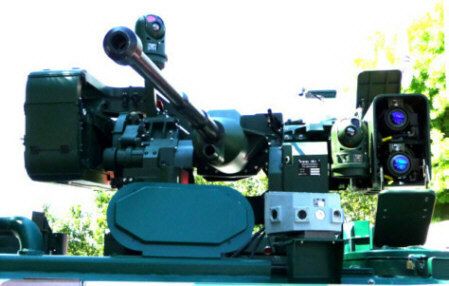 This section is concerned with vehicles which carry armament plus the turrets and weapon installations - ranging from manually-aimed machine-guns on light 4x4 to heavy artillery. 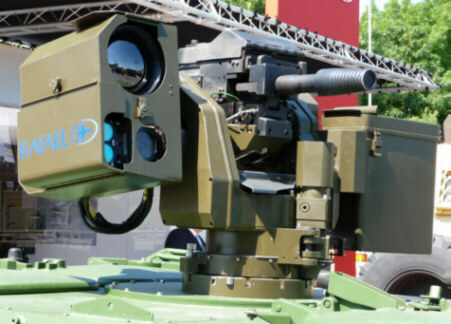 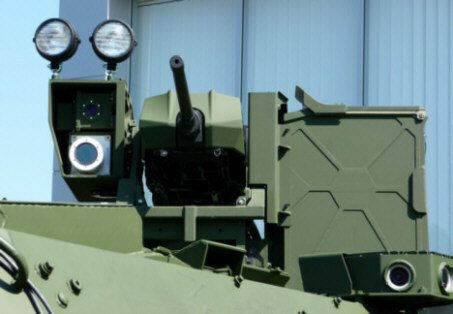 The trend noted last time for an increasing number of remotely-controlled weapon systems (RWS), aimed and fired by a crewman sitting down in the hull of the vehicle and looking at a video screen, has continued. 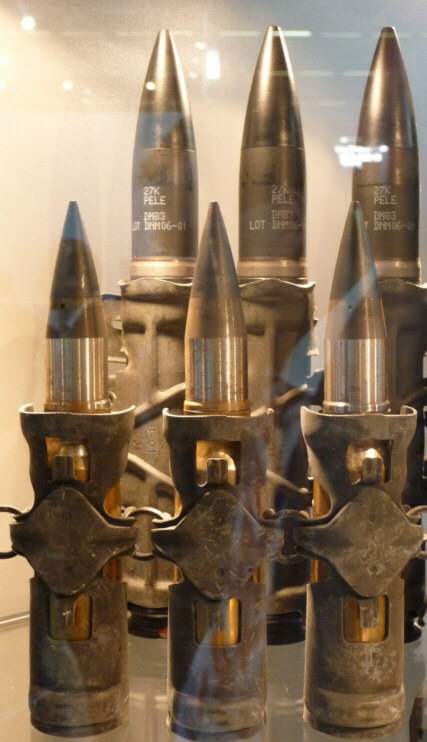 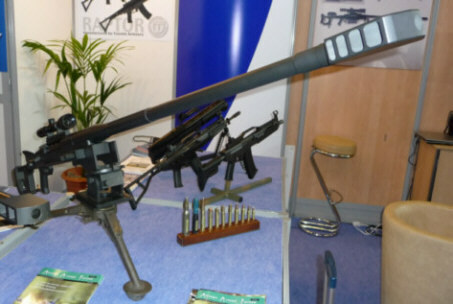 So has the popularity of the old .50 BMG, which still features in more RWS than any other weapon - and in manually-aimed weapon stations, come to that. 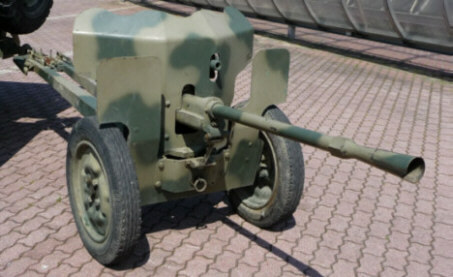 The MLG 27 point defence gun: a land-based version of the naval MLG 27 which uses the Mauser BK 27 aircraft gun - that really does get around! 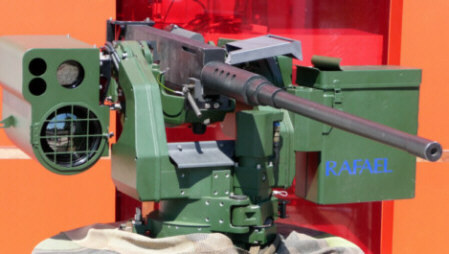 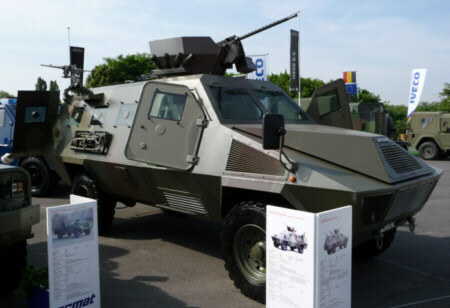 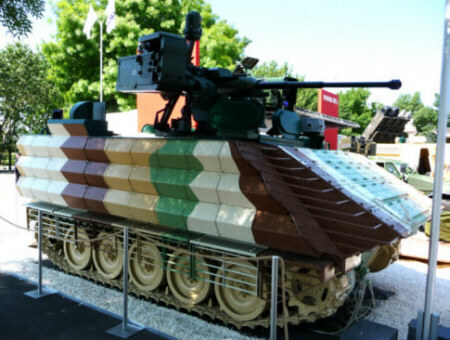 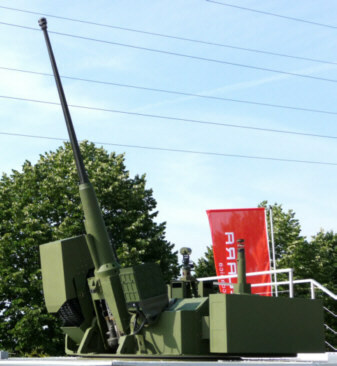 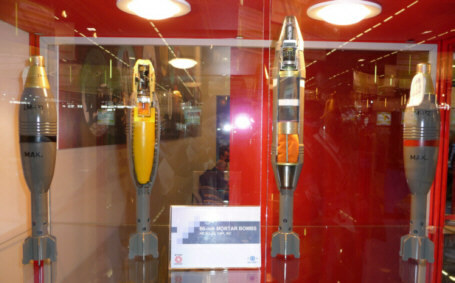 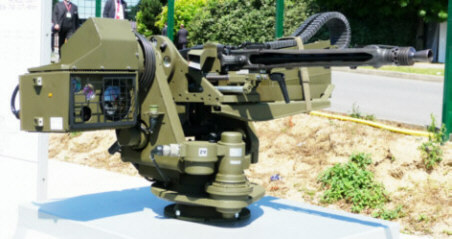 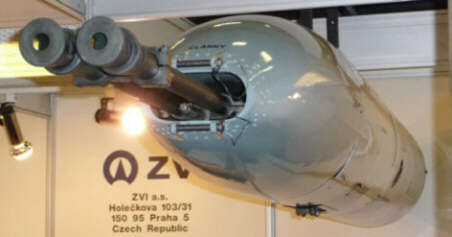 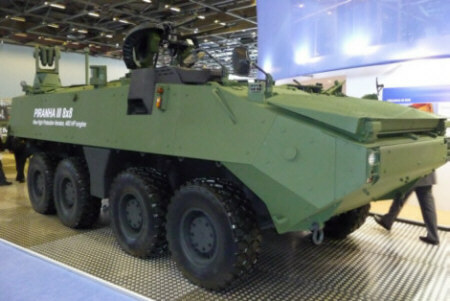 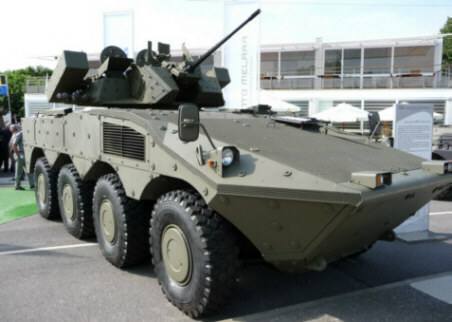 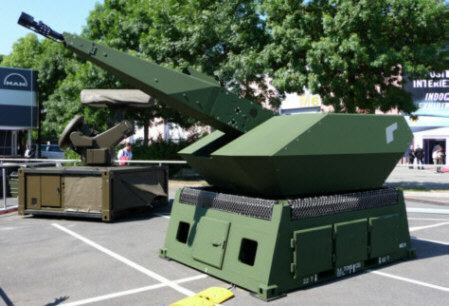 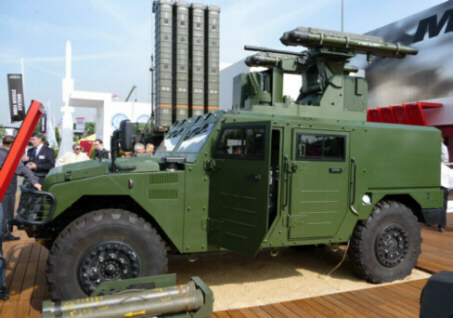 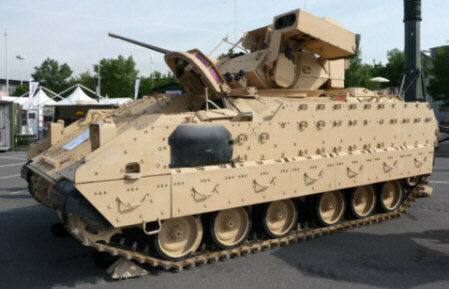 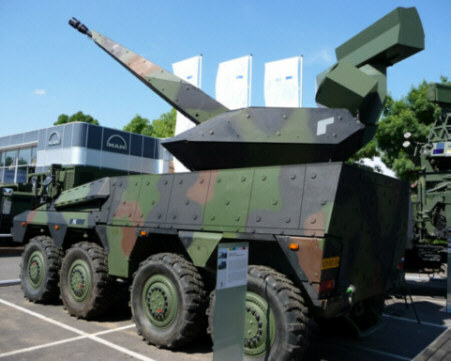 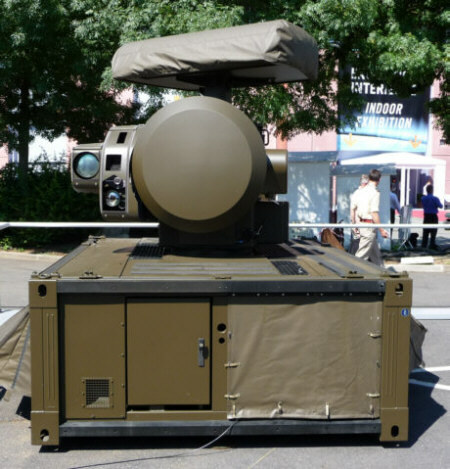 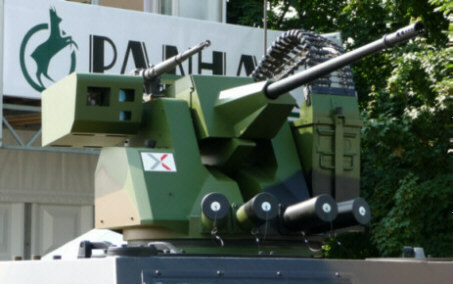 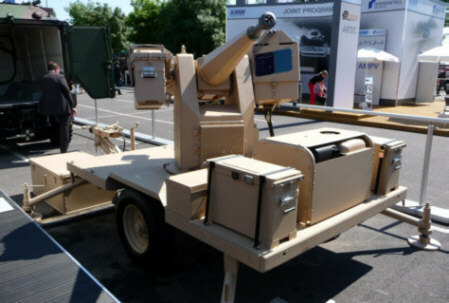 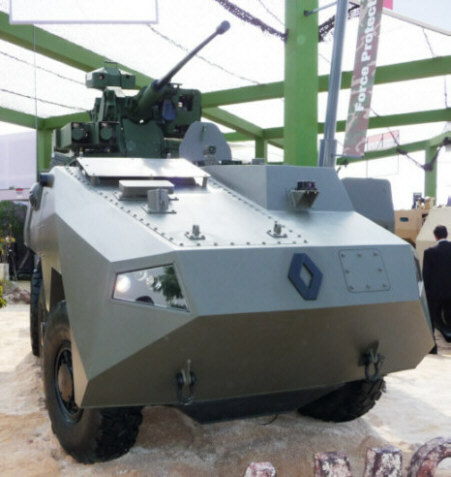 Below is the MBDA MPVC with a gun/missile combo. 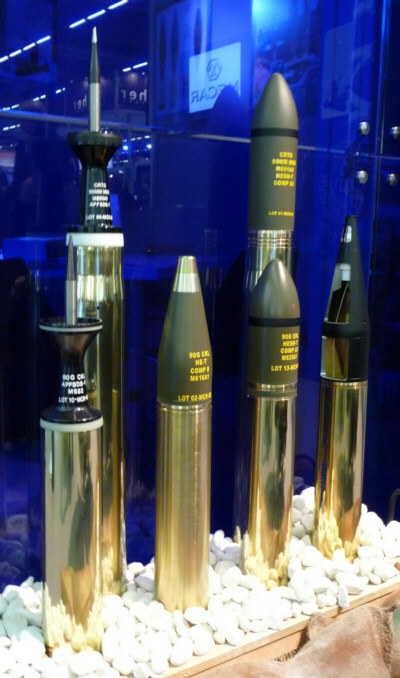 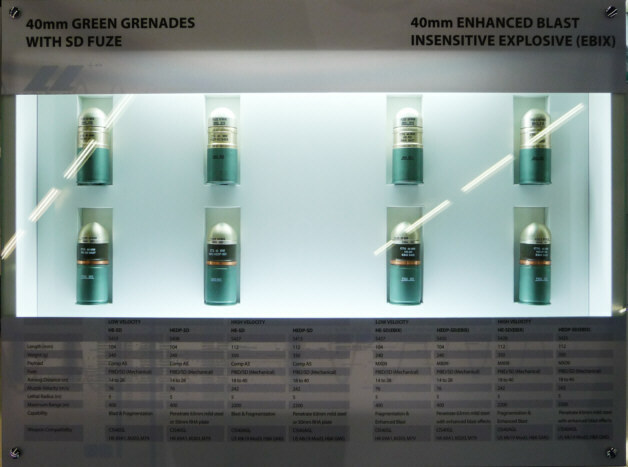 STK 40mm grenade ammo (this Singaporean company probably makes a wider range of 40mm grenade ammo than any other, and supplies the British Army). 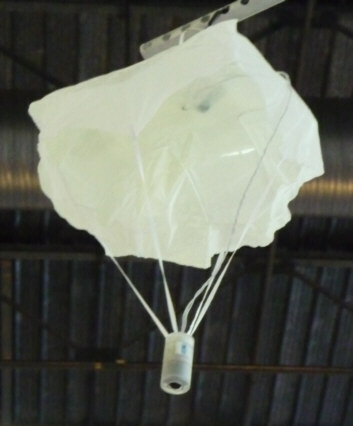 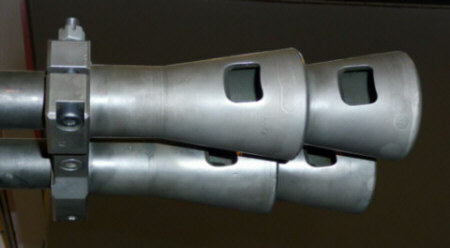 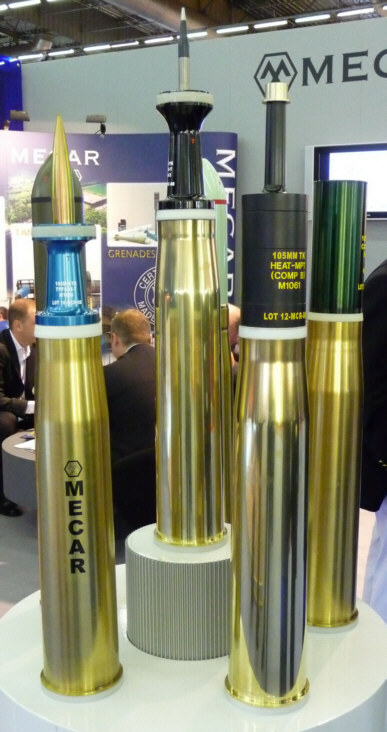 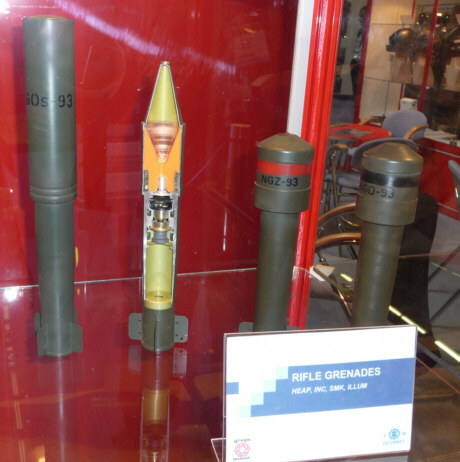 Above: a dummy of the 40mm Metal Storm grenade, based on STK grenades but caseless. 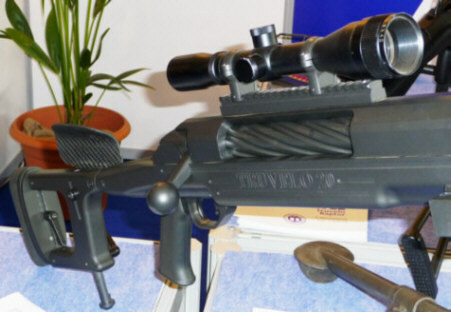 Above: the Truvelo 20 rifle in 20x110 Hispano calibre The massive bolt of the Truvelo 20. 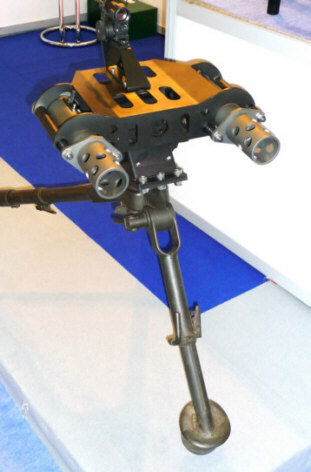 Above: 40mm Rippel Effect XGRL40 six-chamber revolver in a vehicle mounting. 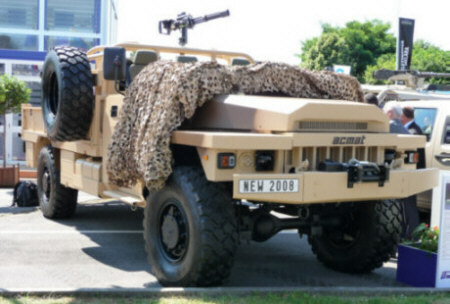 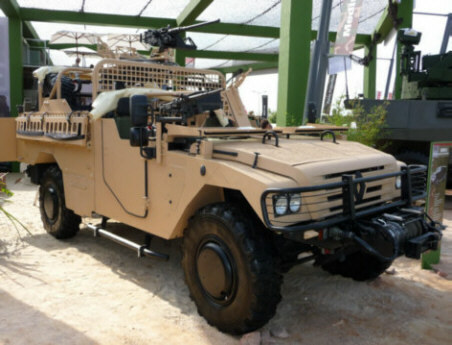 Bottom right: one of the few vehicles on display which did not have an overhead weapon mounting installed, but there is clearly space for a gunner, presumably clutching something like a 4.6mm HK MP7, to stick his head out of the roof!